It can be used for automatic slitting, producing and packaging small sized paper rolls, such as lottery, cash register paper, roll type invoice, fax roll paper, etc. It can product small sized paper rolls with high speed and quality. Key components are imported to ensure working stability and low breakdown possibility of the equipment. The machine is easy to operate, which helps to save time and labor force. You can adjust the machine according to your production requirement. This machine can produce small paper roll without roll core, which follows trend and reduces pollution. Fully Automatic: no human labor is needed. Low: It outputs 240 paper rolls per 8h if used for producing roll with 44 mm in width, 38mm in outer diameter and 12mm in inner diameter. High: It outputs 1200 paper rolls per 8h if used for producing roll with 44 mm in width, 38mm in outer diameter and 12mm in inner diameter. High Wastage: 1.Paper biting situation is common. 2.The machine stops working when a paper roll is cut off. Low Wastage: 1.No paper biting situation occurs. 2.The machine keeps working when a paper roll is cut off. Shanghai Guangping Printing Equipment Co., Ltd is a professional manufacturer and supplier of printing equipment in China. Our mainly products includes commercial form rotary press, adhesive label rotary press, roll slitter rewinder, business form collator, continue form burster, and printing cylinder, and we can also design and manufacture some related components of the rotary press. 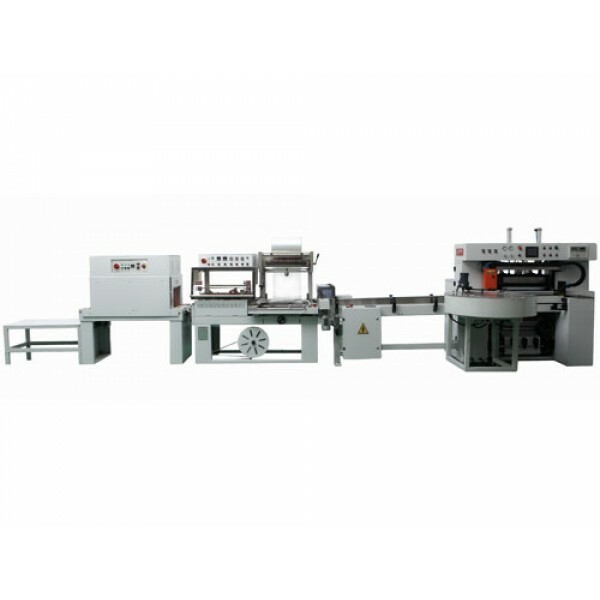 Those machines are widely used to produce various pressworks, such as printing colored tickets, forms, self-adhesive paper and more. Meanwhile, we have established long cooperation relationship with many international companies and have been the agent of many famous products, such as rotary press from Germany Zeiser; numbering machine, business card printing equipment and inkjet printing system, all of which are from Germany Form All Edlmann; punch, trimming die, horizontal perforation cutter, and magnetic die-cutting cylinder, all of which are from Japan Tsukatani. Furthermore, we have passed the ISO9001:2008 certification and our company is a member of the Commercial Paper Printing Branch of China Printing Technology Association. We have many experienced mechanical design engineers and professional technicists, so we can design and manufacture special printing equipment according to specific requirements of users. We also have professional quality testing workers and equipment to test the quality of our products so that the quality of our products is guaranteed. Located in Shanghai, the main industrial city in China, we are near to shipping port, so your transportation cost can be saved. With high-quality products, perfect after-sale services, and reasonable price, we can surely satisfy your needs.